The day is beautiful and Cape Town is showing off all her striking splendour in the leafy suburb of Tamboerskloof. We’re here to meet our guide Jaco Beukman from Cape Town Photo Tours at the classy Cape Milner Hotel. Today he’ll be taking me and our new intern from Holland, Laura, on a journey to Cape Town’s definitive photography hot spots. Excited to get started, we’re both in high spirits. 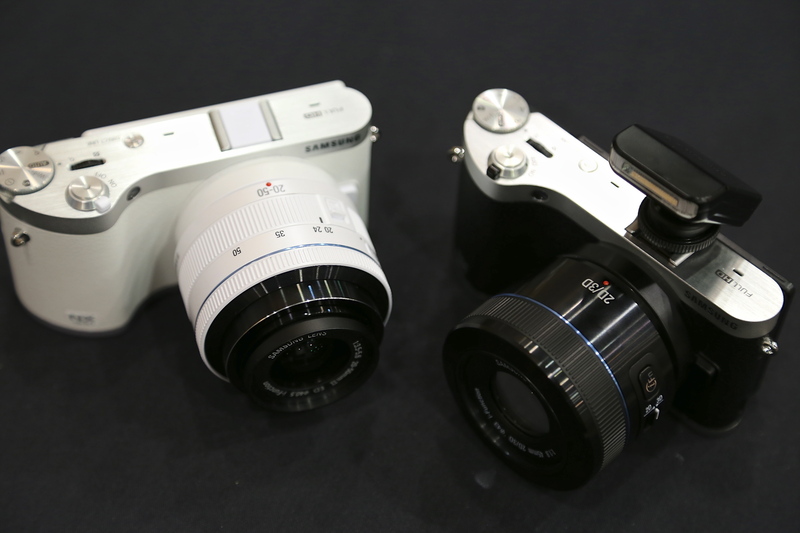 After coffee and tea, Jaco hands us two sleek Samsung NX300 cameras. And before you could say “cheese”, we were headed out on the M3 freeway towards Muizenberg to our first stop. Suffice to say, time flies when you’re having fun. Unlike some photography tours in Cape Town (and South Africa, for that matter), the tour doesn’t teach you all the technical ins and outs of photography, but rather shows you the various ways and angles to take the best photos and bring them to life! After receiving a few handy tips from Jaco, we were all bending down, sitting on our knees and trying to get the best possible shots. My favourite? 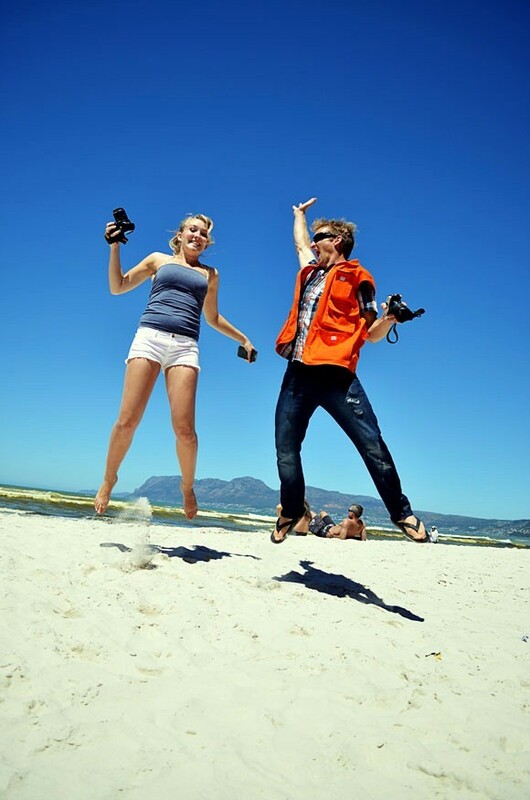 A shot of Jaco and Laura jumping for joy on the beach. 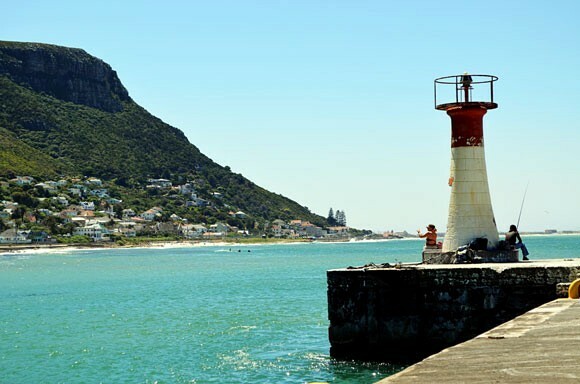 Leaving Muizenberg we headed to the home of Kalkies, where you can get the best fish and chips in town. Kalk Bay harbour was abuzz with fisherman and fish mongers. Even a few seals came out to entertain the crowds. With so many interesting faces around, Kalk Bay harbour is an ideal place to practice your photography. In my opinion elderly people and kids make the best photographs. I took a walk out along the jetty towards the lighthouse and passed at least 20 old colourful fishing boats. And needless to say, by the time I reached the lighthouse I took enough pictures to make new album. Here’s another favourite. With Kalk Bay behind us we ventured forth to the sleepy suburb of Fish Hoek to Constantia Glenn Wine Farm, but not before stopping at the magnificent Chapman’s Peak – a drive that always takes my breath away. 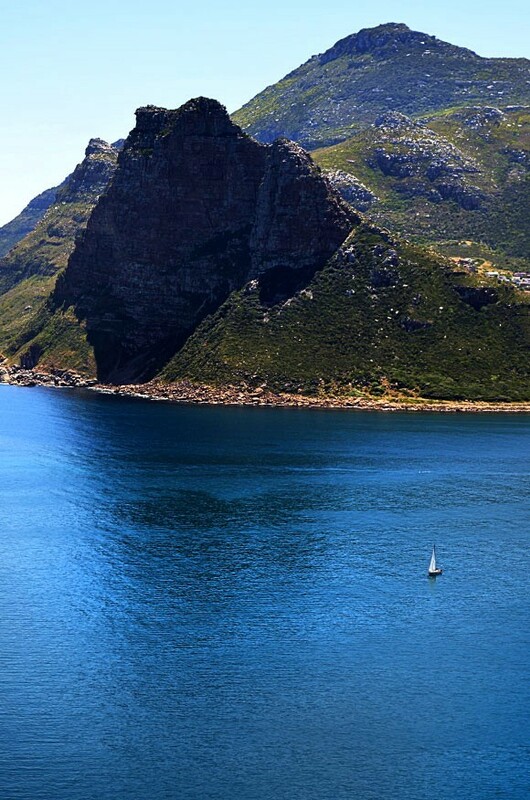 Looking out over the indigo stretches of waters and Hout Bay, with the Sentinel guarding the entrance to the harbour, we all stood in awe. Momentarily forgetting, we’re here to take photos. 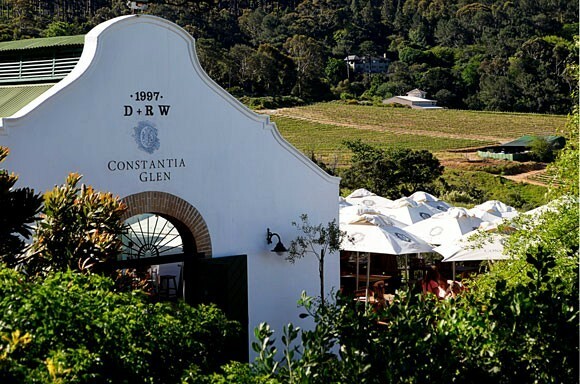 Our final stop of the day was the Cape Winelands’ Constantia Glenn Wine Farm. Situated in the upper reaches of Constantiaberg, sloping hills and panoramic views (not to mention world class wines) makes this 60 hectare farm a must-do. Here we concluded the day with a few snapshots of the greenery and a lip-smacking lunch with fresh salads and rich cheeses paired with fine white and red wines. After lunch we made our way back to the Cape Milner hotel, where Cape Town Photo Tours surprised me and Laura with refreshing sparkling wine, canapés and lively conversation. Not only did we walk away with advice and tips on how to take the best pictures, we walked away with memories that would last generations from now. 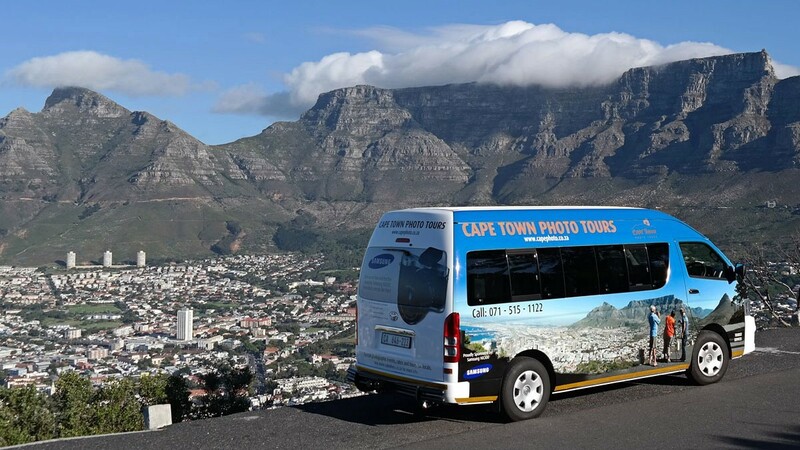 I highly recommend Cape Town Photo Tours not only to photographers (both amateur and professional), but anyone who wants to return home with iconic and unique photos of their visit to our magnificent part of the world.